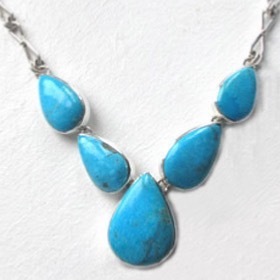 Real, natural turquoise is a gemstone of character, history and of course magnificent beauty. 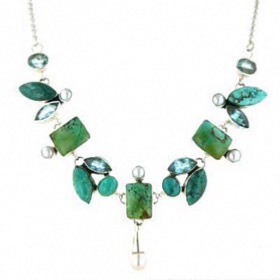 This semi-precious stone is perfect for creating a chunky turquoise necklace. 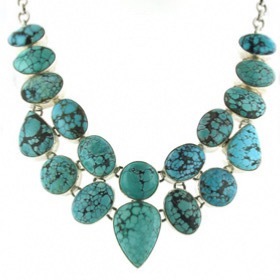 Every piece is different which makes each of our turquoise necklaces unique. 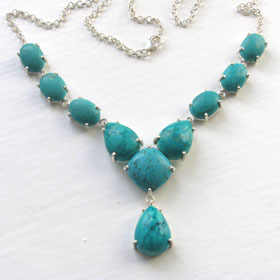 Choose a natural turquoise necklace today! 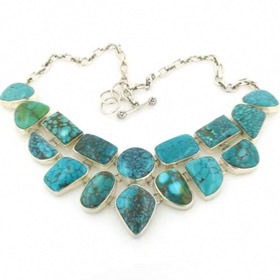 Turquoise is the December birthstone but not exclusive to those lucky people. 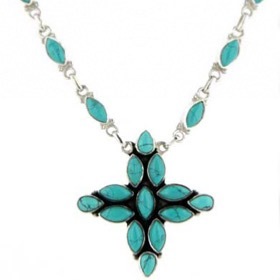 If your taste is for a single stone turquoise pendant necklace take a look at our turquoise pendants - all natural stones from around the world.